‘Israeli’ Channel 13 reported that Britain’s MI6 intelligence chief secretly visited the occupied territories this week for talks with ‘Israeli’ counterparts about fears that Iran may be breaking out to a nuclear weapons capability. 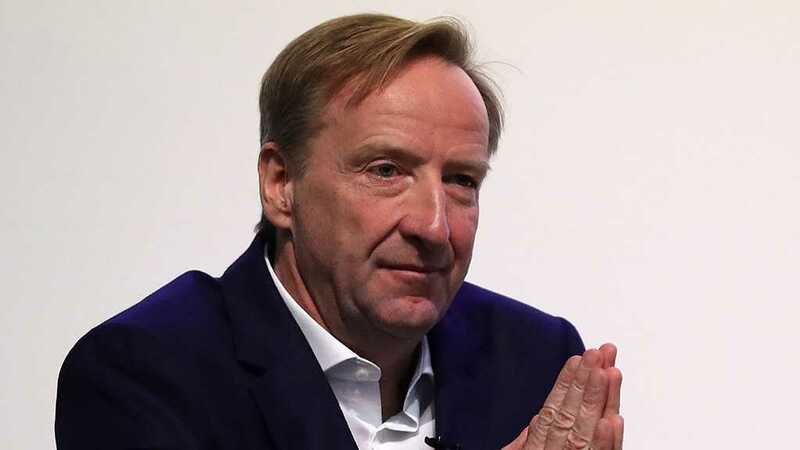 The TV said MI6 chief Alex Younger arrived in the ‘Israeli’-occupied territories on Monday and met with the head of ‘Israel’s’ Mossad intelligence agency, Yossi Cohen, and other ‘Israeli’ intelligence chiefs. The Zionist assessment is that Iran is “making preparations” within the provisions of the 2015 deal, and “getting ready,” but has not yet made the political decision to break out to the bomb, the TV report claimed. Iran, the report added, has recently renewed its production of centrifuges, “and is gearing up for the renewal of uranium enrichment” within the provisions of the deal. In a confidential quarterly report distributed to its member states, the International Atomic Energy Agency stressed that Iran has been abiding with key limitations set in the Joint Comprehensive Plan of Action [JCPOA]. TEHRAN – Secretary of Iran’s Supreme National Security Council highlighted the US failure to form a regional coalition against the so-called “Islamic Republic” (ISIS, Daesh), predicting that America would have to pull its forces out of more regions in the Middle East in 2019. “One of the main realities in Syria and elsewhere in the region is that the US allies have been defeated by the wills of nations, and have therefore inflicted heavy political, military and financial costs on the US,” he added, according to Tasnim. Heunderlined that Iran has always taken the hostile military threats serious, which is why it continuously tries to boost the deterrent power, be it the missile industry or the advanced air defense systems. Shamkhani went on to say that Iran is in Syria at the request of the Damascus government and will keep working with the Arab country in countering terrorism and the Zionist entity. He explicated Iran’s plans to help the Syrian government in the battle against terrorism and to fight off the Israeli attacks on the Syrian territories. Shamkhani underlined that Iran provides “advisory help” for Syria in the fight against terrorism at the request of the Damascus government and with the purpose of supporting the Arab country and its people. “Israel is clearly taking steps to serve the interests of terrorists and to counter the Syrian government and army,” he underscored. Elsewhere in the interview, Shamkhani said that Iran has devised initiatives to foil the US sanctions on its oil exports, noting that the country has multiple ways to sell its crude. “The Islamic Republic of Iran has designed and put into practice initiatives that would neutralize the illegal US sanctions against Iran’s export of oil,” Shamkhani clearified. “There are multiple methods to make that (blockage of Hormuz Strait) happen, and we hope we would not have to use them,” the top official concluded. He long ago lost credibility. Many Israelis despise him, venting their anger in occasional large-scale street protests against him remaining prime minister. His shameful accusations against Iran are never supported by credible evidence because there is none. Its legitimate nuclear program has no nuclear component. It’s combatting terrorism, not supporting or proliferating it. It neither threatens or attacks other nations like Washington, NATO and Israel do repeatedly. Since Security Council Resolution 2231 made the JCPOA nuclear deal binding international (and US constitutional law under its Supremacy Clause), Washington alone breached it – straightaway by Obama, notably by Trump’s unlawful pullout. The IAEA affirmed Iran’s full compliance with JCPOA provisions 12 consecutive times. No nation is more intensively monitored, none more scrupulously in compliance with Nuclear Non-Proliferation Treaty (NPT) provisions and its other nuclear obligations. US use of radiological material in war theaters, along with deploying nukes in Europe and elsewhere flagrantly violate NPT’s letter and spirit. It expressly prohibits transfer of nuclear weapons from one nation to another. According to the Federation of American Scientists, Italy, the Netherlands, Belgium, Germany and Turkey currently host 150 US nukes at six bases. B61 nukes are the Pentagon’s oldest in its arsenal, in 2020 to be replaced by B61-12 bombs, costing over $10 billion, according to the National Nuclear Security Administration’s Office of Cost Estimating and Program Evaluation. Moscow’s complaint to Washington about illegally deploying nukes was ignored. The Trump regime plans an unprecedented nuclear upgrade – unjustifiably justified by a “Russian threat (and) troubling” behavior that doesn’t exist. Trump reportedly wants America’s nuclear arsenal increased 10-fold. US nuclear policy under Bush/Cheney, Obama, and Trump assert America’s preemptive right to unilaterally declare and wage future wars using first strike nuclear weapons. Nuclear armed and dangerous Israel likely has a similar unstated policy. Iran deplores these weapons, wants them all eliminated. As long as they exist, using them eventually remains an ominous possibility.